One is a jihadist movement that seeks global dominance, beheading journalists, throwing gay people off of rooftops and massacring any perceived foe which crosses its path on the way to restoring a grand Islamic state. The other is a sovereign state, a refuge for a people repeatedly targeted for annihilation throughout history. It also provides medical treatment for Syrians who have been victims of attacks from Islamic State terrorists and the Assad regime. You know, you don't hear about countering violent extremism to deal with the thousands of Jewish-American kids who join the Israeli army killing the people of Gaza. When was the last time the DHS – the Dept. of Homeland Security – or the FBI approached the Jewish community to ask them to deal with this trend? Actually, there are many more Jewish Americans who have joined the Israeli army than there are Muslim Americans who join ISIS. So let's talk about the Jewish American kids who join the Jewish State before we talk about Muslim Americans who join the Islamic State. Neither one represents Judaism or Islam. Ayloush's comments were made during a forum on Jan. 9, the same day the terrorist siege of Paris ended in police assaults. They were recorded by Gary Fouse, a University of California, Irvine adjunct professor who wrote about them on his blog. So less than a day after Amedy Coulibaly stormed a kosher supermarket in Paris killing four people, Ayloush argued American Jews who move to Israel and join its army are just as bad as the marauding terrorists of ISIS. A video released after the attack shows Coulibaly pledging allegiance to ISIS. Ayloush wasn't the first to make the comparison. Zahra Billoo, Ayloush's colleague from CAIR's San Francisco office, took to Twitter Sept. 15, saying she "wonders who has recruited more Americans? The IDF or ISIS?" Updated Feb. 19: Give Billoo credit for consistency. She repeated the meme equating ISIS and the IDF in a Feb. 16 Twitter post, asking, "Is one genocidal group different than the other?" During last summer's Islamic Society of North America (ISNA) convention in Detroit, Billoo spoke with lament about Israel's Iron Dome missile defense system, which shot down dozens of rockets indiscriminately fired by Hamas and other terrorists at civilian population centers. "In the Bay Area where we have some of the most progressive elected officials imaginable in the entire United States, we have only one elected official who voted against the Iron Dome missile defense system," she said. Yes, if only Iron Dome hadn't been funded and more Israelis could have died. What makes otherwise intelligent people say such things? The Jerusalem Post profiled one American who moved to Israel and joined the IDF. Take a look at this guy, read his story and see if he sends chills of fear across the West. Ayloush is no fringe player. A day after equating Americans joining ISIS with those who fight in the Israeli army, he announced his election to the California Democratic Party's District 60 executive board. When he made his ISIS/IDF comparison, Ayloush must have forgotten the tirade he launched into back in November 2013. Asked to condemn Hamas and Hizballah as terrorist groups, Ayloush angrily rejected the question as out of bounds. CAIR is a civil rights group, he said, and "we're not here in the business of being dragged into the Middle East affairs and the conflicts of the Middle East. We are an American organization." The question "proves that you have nothing but bigotry in you." Expecting someone to condemn Hamas and Hizballah terror is out of bounds. Making a moral equivalency between the Islamic State and Israel? To Ayloush, that's just righteous analysis. The same goes for former New York Times foreign correspondent Chris Hedges, who advanced the ISIS=IDF nonsense in a December article. Arguing that ISIS is an American-created Frankenstein resulting from the U.S. invasion of Iraq, he likened its "quest for an ethnically pure Sunni state" to the Jewish desire to create a homeland. ISIS "tactics are much like those of the Jewish guerrillas who used violence, terrorism, foreign fighters, clandestine arms shipments and foreign money, along with horrific ethnic cleansing and the massacre of hundreds of Arab civilians, to create Israel." The meme dates back at least to last summer, when Israel sent ground troops into Gaza in an attempt to wipe out Hamas' ability to continue its rocket fire at civilian population centers. During December's "Reviving the Islamic Spirit" conference in Toronto, Omar Suleiman tried to explain the rage that drives young Muslims into the arms of Nigeria's Islamist terrorist group Boko Haram and to ISIS. Part of that rage, he claimed, was a perception that true evil was not being condemned sufficiently. "So it's important for leadership altogether to be able to take a clear stance, because if they don't, then what does that do to the people? As Imam Zaid said at ISNA, it's easy to condemn ISIS, all of us condemn ISIS, but what about the IDF? Where are we on the IDF? ...And if you don't think that Zionism, this evil curse of Zionism, is the central issue for which the Middle East is being played with, for which these puppet governments are being put in place, then you're blind." Someone is blind, all right. The "evil curse of Zionism" didn't send French citizens to slaughter cartoonists and editors, or to attack a Jewish market last month. It didn't prompt Boko Haram to massacre 2,000 people, mostly women, children and the elderly, in one town. It had nothing to do with ISIS gunning down 600 Shia prison inmates near Mosul last summer, or with the murder of more than 200 Iraqi Sunnis who sided with the government. But with Israel-obsessed Islamists, everything points back to Jerusalem. The same people drawing this false equivalence rally behind people who aid terrorist killers, or in at least one case, killed people in a terrorist act. As we showed last fall, Rasmieh Odeh played a significant role in a 1969 supermarket bombing in Jerusalem that killed two college students. She deliberately withheld information about her conviction in that attack from immigration officials when she came to the United States in 1995 and when she successfully applied to become an American citizen in 2004. Odeh's prosecution for immigration fraud triggered a national campaign aimed at pressuring the government to drop the case. It was led by friends at the Arab American Action Network (AAAN), and garnered support from the Council on American-Islamic Relations (CAIR), American Muslims for Palestine (AMP), the Arab-American Anti-Discrimination Committee, and even a group of 124 feminist academics. Earlier this month, many of those same groups criticized the deportation of Sami Al-Arian, a former tenured professor at the University of South Florida who secretly served as a member of the Palestinian Islamic Jihad's board of directors. He left for Turkey last Wednesday after agreeing in a 2006 plea agreement to be deported for conspiring to provide services to the terrorist group. "A great leader is exiled," Lamis Deek, an attorney and board member for CAIR's New York chapter, wrote on Twitter. Writing for Al Jazeera, college lecturer Hatem Bazian said the case "in essence boils down to free speech and an Arabic statement he is reported to have uttered in an anti-Israel rally in 1988, which translates to something like 'Death to Israel'." That's a gross mischaracterization that ignores Al-Arian's own plea agreement, in which he acknowledged his association with the Palestinian Islamic Jihad and his own knowledge that his colleagues at a Tampa-based think tank he created – Ramadan Shallah, Basheer Nafi and his brother-in-law Mazen al-Najjar – also were part of the terrorist group. Shallah has been the Islamic Jihad's leader since 1995, assuming command mere months after leaving Al-Arian's base in Tampa. Bazian's assertion ignores evidence showing Al-Arian was an officer on the PIJ board and that he solicited "true support of the jihad movement in Palestine" in the wake of a 1995 double suicide bombing that killed more than 20 people "so that operations such as these can continue." To Bazian, the Al-Arian case proves that "[t]he 'war on terrorism' in the U.S. and for sure Canada has translated into a targeting campaign against Palestinian activists and affiliated organisations..."
This misinformation isn't from some random crank trolling Internet chat rooms. He's an academic, lecturing at the University of California, Berkeley, and helping run the school's Islamophobia Research and Documentation Project. Bazian, like Al-Arian's other supporters, offers no indication he's interested in the documentation which cements the former professor's PIJ connections. Israel is the real terrorist. End of story. On the flip side, genuine heroes can be cast aside by Islamists if they commit the unpardonable sin of siding with Israel over anything. U.S. Rep. John Lewis, a Freedom Rider who repeatedly risked life and limb during the Civil Rights Movement, has repeated drawn scorn from CAIR-Michigan's Dawud Walid. Because Walid doesn't like Lewis' support for Israel, one of the leading voices of nonviolence in this country's history has "lost his moral compass." At the American Muslims for Palestine (AMP) conference in Chicago last November, the group's vice chairman, Munjed Ahmad, won applause when he noted aid to Hamas and other designated terrorist groups is illegal, but "what's very sad to me, when we talk about terrorist organizations, is that the State of Israel is not considered a terrorist organization with our government but it truly is the largest terrorist of all. Truly." A few minutes earlier, he wondered why the United States "has never sided with the right of self-determination. In fact, they've done exactly the opposite. They've sided with the most oppressive regime, in my opinion, in the world right now. They've aided, supported financed arms, provided diplomatic cover for, and perpetuated the brutal occupation against the Palestinian people." The most oppressive regime in the world? It has an independent judiciary and a vibrant free press. Worse than North Korea under Kim Jong Un? Worse than Syria under Bashar al-Assad? Worse than Saudi Arabia, which publicly beheads criminals and sentences a man to 1,000 lashes for expressing free thoughts? Worse than Iran, which sent its proxy army Hizballah into Syria to prop up Assad and is arresting academics, journalists and others? Ahmed may dislike Israel more than any other country, but there is no objective measure that comes close to validating such an absurd view of the world. Despite his assertion, the United States has advocated for a Palestinian state at least since President Carter was in office nearly 40 years ago. But in making the call for a Palestinian homeland, Carter said that Palestinians had "never yet given up their publicly professed commitment to destroy Israel. That has to be overcome." What U.S. designated terrorist groups Hamas and PIJ share is their ongoing commitment to Israel's destruction which is spelled out in their respective charters. None of the people who call Israel a terrorist state, who liken it to ISIS, have called for those charters to be amended or nullified. Instead, they condemn law enforcement for enforcing laws. If a prosecution targeted people or groups suspected of providing material support to Palestinian terrorist groups, Islamists condemned it as an outrage. "The purpose of creating the Holy Land Foundation was as a fundraising arm for Hamas," U.S. District Judge Jorge Solis said during a 2009 sentencing hearing for five former charity officials. Evidence showed that the foundation, known as HLF, was part of a broad Muslim Brotherhood conspiracy in the United States to serve Hamas with "media, money and men." Those exhibits show the depth of Muslim Brotherhood activity here, which at its height included a think tank in Virginia, a propaganda arm in Texas and Chicago, and CAIR itself. That's what prompted the FBI to cut off any non-investigative interaction with CAIR "until we can resolve whether there continues to be a connection between CAIR or its executives and HAMAS." CAIR's Zahra Billoo, who sees the IDF and ISIS as similar threats, called the HLF convicts and Al-Arian her "personal heroes" in a November Twitter post. That's her right. But the courts have found her heroes to be criminals tied to terrorist groups. And that says something about the motivation behind so many Islamists who, despite all evidence to the contrary, see Israel as the world's greatest danger. We hear so many times, muslim apologists telling us how Israel and the IDF are carrying out a genocide against the "palestinian people"....If that's true, it is the only case of genocide i know of in which the people being "slaughtered" actually continue to increase in number...the arab muslim populations in gaza, Judea and Samaria, aside from emigration, continue to increase year after year, despite all of Israels efforts at "killing" them....can it be that Israel is so incompetent that they cannot wipe out the arabls? Apparently so...so much for the vaunted skills of the IDF....no...the real genocide is being planned and attempted by arab muslims and has been for almost 100 years....remember the massacre of the jews of Hebron in 1929? the killing of jews and sympathetic arabs to the jewish cause from 1936-39...and what about the pact between the grand mufti and hitler in 1941, where the haj al husseini promised hitler that he would finish the destruction of the jews after hitler won the war....husseini even had designs completed for the extermination camps and locations in the middle east and n.africa where the exterminations would take place...and consider the charters of hamas and hezbollah, which talk about the total destruction of the jewish population in israel...and about the fact that palestinian text books do not even show Israel on the map...only palestine under arab rule(which means no jews, since abbas has announced that no jew will be allowed to live in palestine)....these declarations of a "judenrein" middle east clearly point to who really intends to commit genocide...and if iran ever gets the bomb, we shall see another 6million jews exterminated.....genocide there may be, but it won't be carried out by Israel of the IDF. But that is what Europe and the US are doing. It is as to absurd to ask India and Pakistan to negotiate as to ask Israel and Hamas. But not a month goes by without some "western" country sermonizing India on "peaceful" solution for Kashmir, while Pakistan continues to send terrorists funded by the very same aid (protection money) from US. Lets talk about Israel and Gaza!!! Lets talk about how the muslims place rocket launchers in the mist of their civilian cities instead of out in the open away from civilians!!! Lets talk about how the muslims use their women and children as human shields!!! Lets talk about how the muslims violate international laws of land warfare on every hand!!! Lets talk about how the muslims are always attacking Israeli civilians!!! You want to talk about what is going on in Gaza??? Lets talk facts about how the muslims started the war, and how cause their own destruction then want to blame Israel!!! Lets talk about how a lot of those casualties had NO blood on them despite the fact that they were "killed" in artillery and bomb explosions!!! Yes, lets talk about Gaza, but lets tell the TRUTH instead of muslim lies!!!! Followers of Islam do indeed hate but their hate is clear and focused. It is directed at anyone who disagrees with them, particularly anyone who values freedom and individual rights. That's why they are dedicated to destroying Israel and the 'Great Satan', America. In achieving this goal, they have an ally in the White House. Obama, the socialist and nihilist, also actively embraces Islam. He is doing everything he can to help them. Why do seemingly intelligent people speak these absurdities and why does it continue, day after day, week after week, etc.? 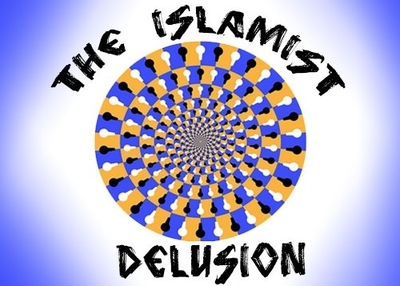 I suspect the Muslim Brotherhood and all aligned with or under their influence have one purpose in mind and that is the elimination of Israel, an annoying, aggravating, infuriating thorn in the backside of the Middle East that they cannot defeat militarily unless they can dupe what has proven to be a naive, gullible, feckless, anti-Semetic American administration to cut off all financial and military support, a golden opportunity if they can pull it off. With Obama at the helm they've got 23 months to get it done.